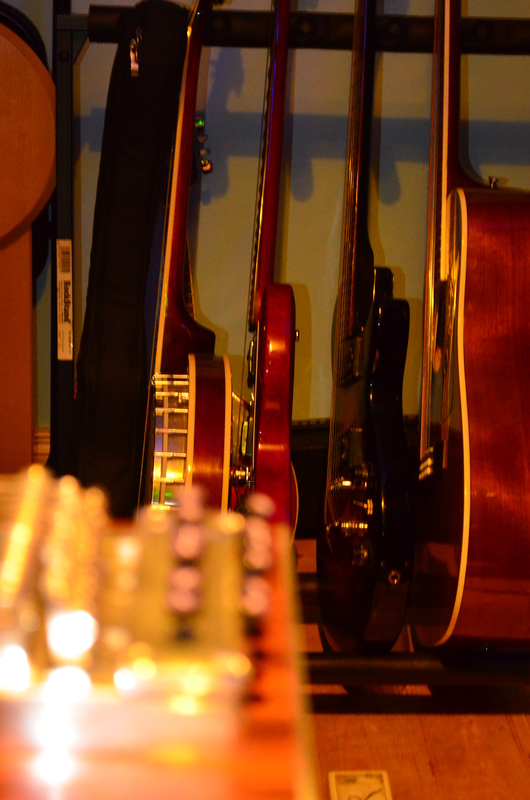 Writing, arranging, learning, re-writing, recording, re-recording, procrastinating. Never mind though… while I’ve kept the day gig going I’ve carved out time with some good friends and professionals to get to the stage where I’m almost ready to release a mini-album. Back in January 2012 I ended up having to tear up all I’d done the previous year. This was due to reasons too boring to go into (and I already blogged about it…) but the silver lining was a higher-tech system with a better toolset for me to use and abuse. Late January I has bass (Mark) and drums (Tim) in for a session to record a rhythm section on two songs I’d prepared. Bass was easy enough to record but this was the first time I’d tried recording drums using an electronic kit which triggered sampled drum sounds on the computer. It worked a charm. An absolute charm. Now that I’d proven the system could work and I learned how much I benefitted from having a drummer on my songs (see also: bringing a bass player into the picture last year) I began preparing all of the songs and tracks ready to add real bass and drums. Through the spring I waited for the drummer’s time to free up (he’s good and in demand) I explored recording with another singer and hit quite a jackpot. Through Mark I was introduced to Suzy Bushnell who is light years ahead of me in the singing stakes. From quite a musical dynasty it was obvious from the moment she sang the first line on “This Hometown (So Long)” I had hit paydirt. The song was originally written with two singers in mind since the story of the song is about a couple who decide they want to go travel the world. They won’t leave alone and they rail against the assumption that they’re leaving for the money or in shame. Some cheap and not-so-cheap guitars. And a banjo. When a song is recorded there’s many stages involved. 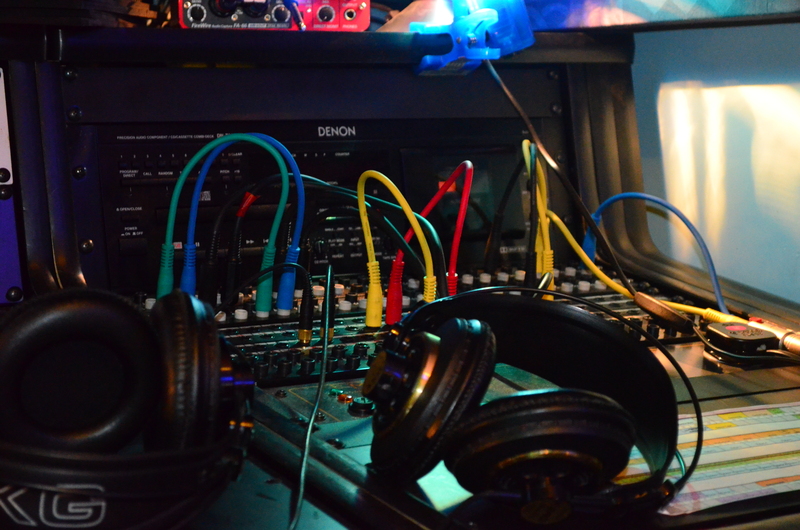 Once the instruments & vocals are recorded (or ‘tracked’) the whole lot is mixed. Mixing involves finding space for every sound and a balance between the parts. Effects are added and suddenly it’s all very final. That’s it : you’re done and no more changing. I learned a lesson here. I’ve been listening to these songs for so long I don’t know what sounds right any longer. This is something I’m already fixing with new songs in that I’m tracking and mixing and moving on. I also accepted that I needed a professional mix engineer who could give a fresh perspective but more importantly : a properly engineered mix. I can mix demos but I’m not a true mix engineer. A little research brought me to Niall Curran at Hobo Audio who did a free trial mix. I immediately knew I was right to go down this path and have just sent my third song to Niall for mixing. It has also helped me complete tracks faster because I’m not trying to mix them at the same time. I’m also able to truly finish the song and move on. I believe this will make future recordings much better & faster. 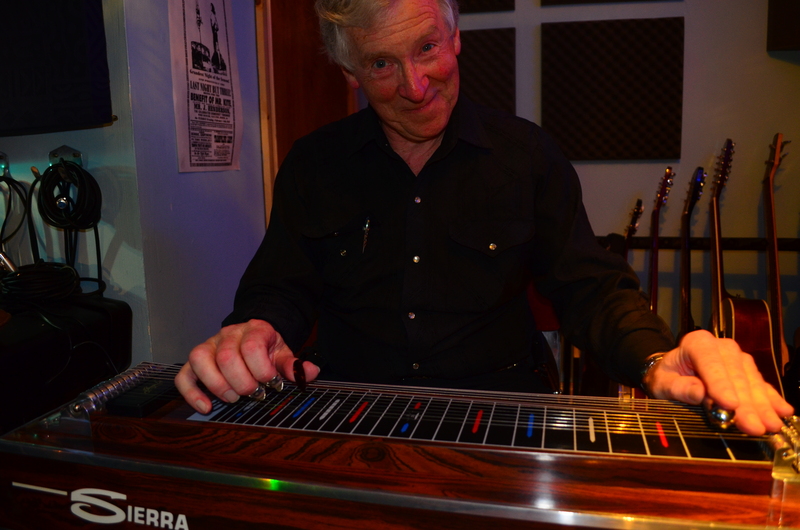 In June I brought in a proper pedal steel guitar player. Ever since hearing Pete Drake on George Harrison’s “All Things Must Pass” album I’ve loved the sound of a pedal steel guitar. When I was writing “Elvis Has Left The Building” back in 2010 I heard pedal steel in my head. Since going back to my original ideas on “This Hometown (So Long)” worked so well I decided to go for it. Joe Ryan turned out to be both a fine, fine musician and a true gentleman. He nailed the track in 4 takes and I had the delightful task of comp’ing the best bits from each take to use for the master. He was so good it inspired me to re-work my lead vocal.The track is done and on the way to the mix engineer as I type this blogpost. Tomorrow I’ll be spending the day recording drums (morning) and bass (afternoon) on some more songs which I’m planning to send to mix next week. Closer and closer. Where is all this leading? A mini-album will be available in September and a launch gig is planned for early October. Alongside this there are two very cool projects relating to my songs in the works which I’m excited about. Oh and I’ve got ideas for the next bunch of songs… and the songs for the next mini-album are already almost tracked and will be mixed in the autumn… then there’s a little recording project I’m planning for the winter in between gigs to promote the first mini-album. Next time… I’ll tell you how you can support this independent singer-songwriter.